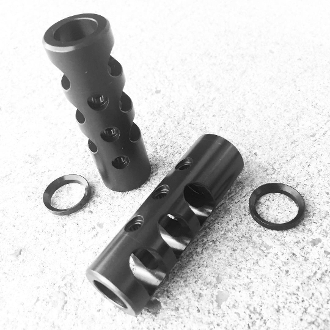 Competition style Ar15 Muzzle brake. Steel, 5/8-32 Threads (458 socom, 450 bushmaster, etc) 3 horizontal ports in each side, 2 on top. Directs muzzle blast to each side and upwards to help prevent muzzle rise.